Blossoms at Biltmore Park in Asheville, NC is run by a team of dedicated, creative professionals with decades of combined experience in luxury wedding & corporate event floral design. They're passionate about the magic flowers bring to destination & high end weddings in Asheville, Charlotte, & Charleston for brides from NY, DC, FL, GA, TN, NC, SC. 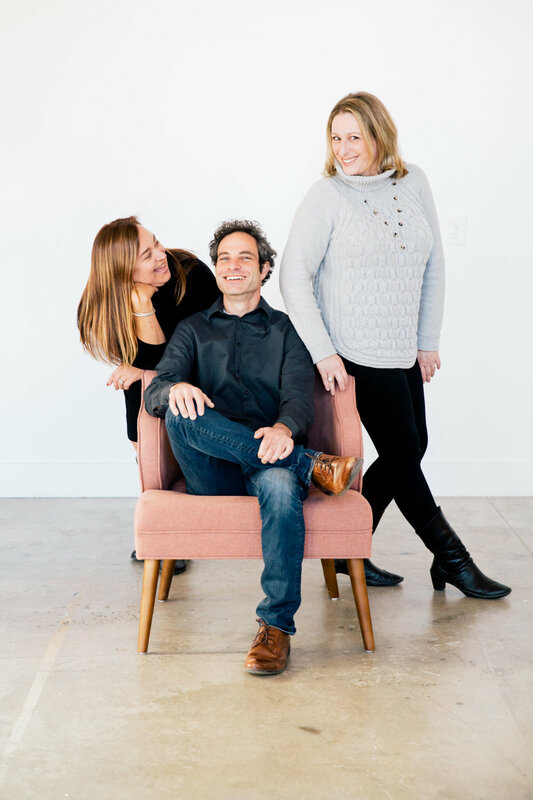 Meet us – Adrienne, Alan & Audrey. We own this fun company and our sweet design studio in North Asheville. We love what we do, we love any kind of celebration and WE. LOVE. FLOWERS. We appreciate our flowers being noticed so each arrangement is unique – using only the freshest product – locally harvested when possible - and shipped from all parts of the world when not. Creativity is certainly our specialty. Through our wedding and event designs, our custom floral deliveries, and our stationery & invitation offerings, you will find this artistic enthusiasm with every project we undertake. Please be in touch, meet our fabulous team members, and let us know how we can help you celebrate!